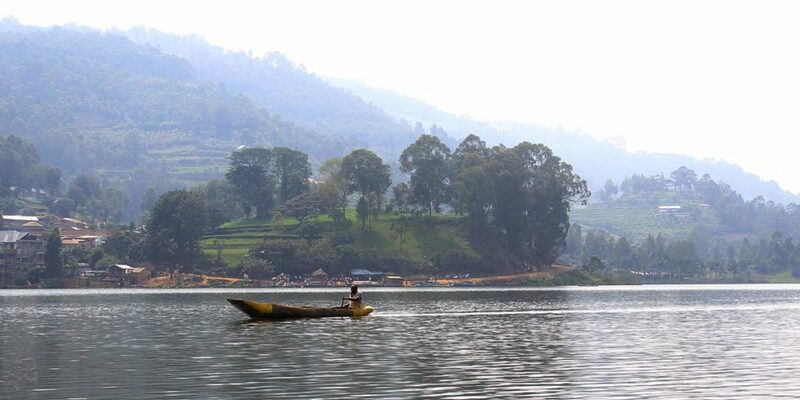 We shall drive through the lush rolling hills of Rwanda to the north-west where Ruhengeri is located. From Ruhengeri we shall continue with a short drive to Gorilla’s Nest lodge or Muhabura Hotel through the undulating paved roads where we shall have our dinner and over night stay. Arrival at Kigali International airport (Kanombe) where you will be met by a Jungle Safaris Guide who will transfer you to the respective place of accommodation in Kigali Town. Note that you need to arrive in Kigali before 2.30pm. If your flight does not arrive before 2.30pm you will need to arrive one day earlier and book a pre-tour accommodation night at additional cost. We shall have a short drive to the park headquarters for a briefing about gorilla tracking by the guides of PNV. 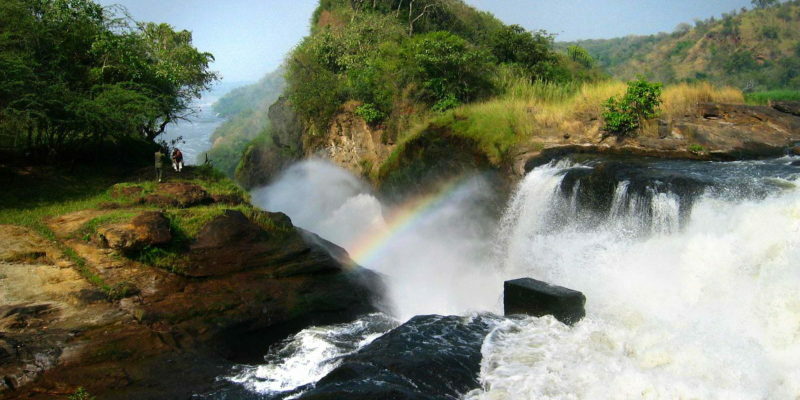 This 160km2 national park protects the Rwanda sector of the Virunga Mountains, a range of six extinct and three active volcanoes which straddle the border with Uganda and the Democratic Republic of Congo. Gorilla tracking is highly controlled with only 46 gorilla tracking permits available each day. Once a tracking group encounters one of the gorilla families only one hour is granted to be in the presence of the gorillas before the trackers must, very reluctantly, leave the gorilla family. The tracking can be strenuous and may reach altitudes of 3000m above sea level. The walk will be slippery and the paths are never defined but the end result is one you will forever cherish. To stand within the realm of these amazing primates is a truly emotional experience. To gaze into the liquid-brown of a gorillas eyes is to be invited into the depths of the soul and you will not be unchanged by the experience. Back to the lodge where we shall spend our night again. Today is a day of options. 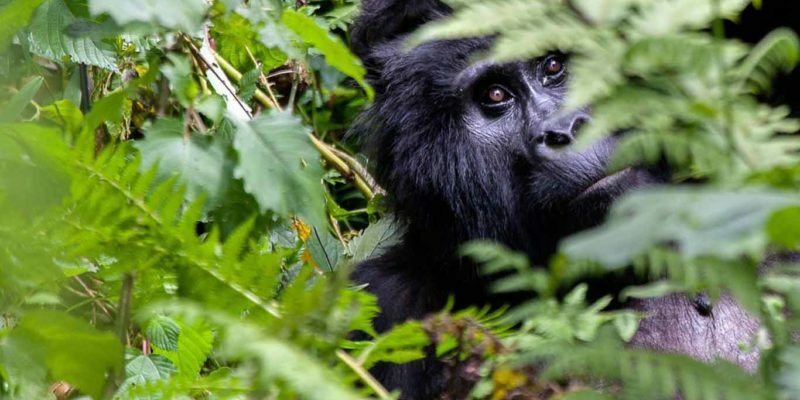 You may choose to track another gorilla family, tracking the Golden Monkeys or take a track to the grave of Dian Fossey and the remains of the Old Karisoke Research Station. For those who loved the book and/or movie ”Gorilla In The Mist” the Dian Fossey tracking is a good option. Over the course of the morning you follow in Dian Fossey’s footsteps as your tracking to her grave and the many graves belonging to the poached gorillas, including that of Digit. You will be guided around the area where Old Karisoke was set by a parks guide. Although very little of the station exists now, the setting is incredible and the life led by Dian Fossey in these isolated mountains becomes even more wonderous. 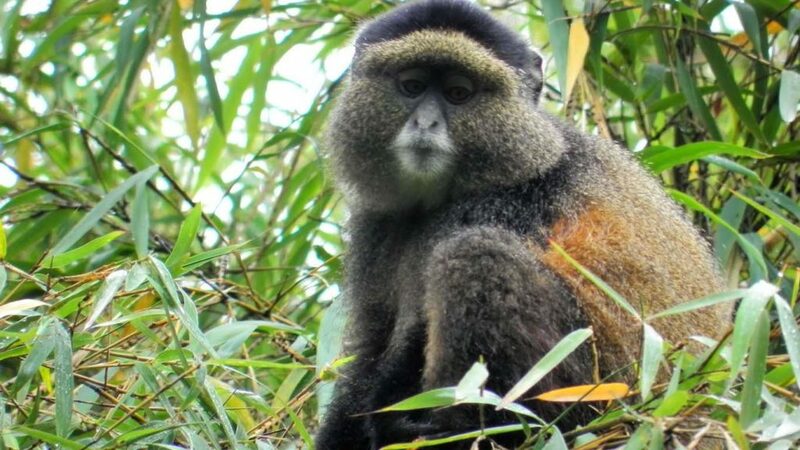 For a more leisurely but really unique experience, tracking for the Golden Monkeys is highly recommended. 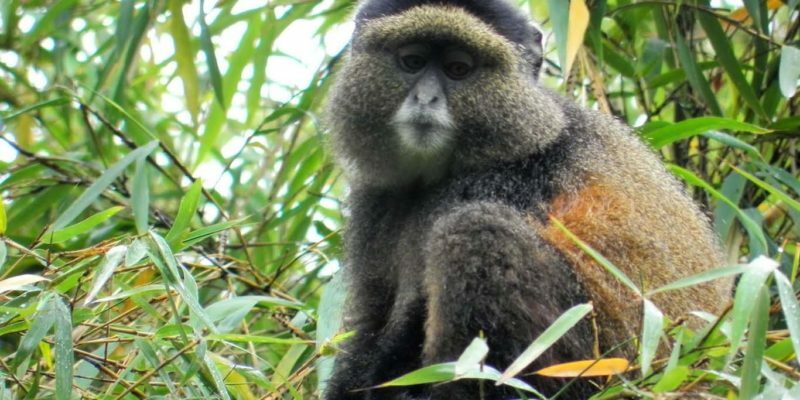 A walk to the edge of the forest to see the endangered Golden Monkeys is a rare treat. Watching these unique primates play and perform in the forest is compelling. Please note that the roads & driving conditions in and around both the Golden Monkeys & Dian Fossey’s walk are not in the best condition. Travel to Kigali later this afternoon/early evening with an over night stay at Hotel Gorillas, Kigali Novotel or Serena Kigali Hotel . After an early morning breakfast, we drive to Rwanda’s second largest city, Butare. Here, we visit the Butare Museum before continuing onto our Gisakura guesthouse at Nyungwe. Butare, situated in the south west of the country, is regarded as the intellectual capital of Rwanda as it is home to the National University of Rwanda. Located here is the National Museum of Rwanda – widely regarded as the best museum in Eastern Africa. It is an excellent source of the cultural history of the Rwandese people as well as the Rwandan genocide of 1994. As a primarily Tutsi region Butare was safe from the mass killings for the first two weeks of the Genocide and many Tutsi’s fled from other regions to Butare as it became their new sanctuary. However in the remaining eight weeks of the genocide 220,000 people would lose their life here – over 20% of the final toll. This visit lets you understand and appreciate the incredible resilience and beauty of the Rwandan people one must understand the absolute dismay and brutality of the genocide. Today we have an early start as we join the park rangers of Nyungwe Forest National Park at 6am to start tracking to the chimpanzees in the forest. These primates share more genetic hormones with humans than they do with gorillas or orangutans. The chance to walk under the draping canopies and along the soft mulch of the forest floor amidst these primates is unforgettable. The cacophony of sound is staggering as these vocal primates communicate whilst banging and crashing through the undergrowth and canopies! After breakfast we set off on our return drive through Butare to Kigali. Along the way we are able to stop at a tea factory to gain an insight into an African tea factory (subject to the tea factory being open). After visiting the factory we will also explore the ”Royal Hut”. This hut is a reconstruction of the Rwandese Kings Hut and is one of Africa’s largest huts, measuring about 10 metres in diameter. After lunch in Butare the journey continues onto Kigali where we arrive late in the afternoon. Accommodation tonight will be at the Novotel Kigali Serena Kigali Hotel again. Dinner may be taken at several good nearby restaurants at your own expense. This morning we shall have a tour of Kigali city visiting the genocide museum, opened recently in 2004 to mark the tenth anniversary of the Rwandan genocide. Whilst the genocide occurred as a result of a complex series of factors it can only be seen as an absolute tragedy to Rwanda and it’s people. Time spent at the genocide museum will be emotionally moving and an important way to understand the absolute courage and resilience of this beautiful, tiny country. The tour will be concluded with a group transfer to the Kigali International Airport before midday. 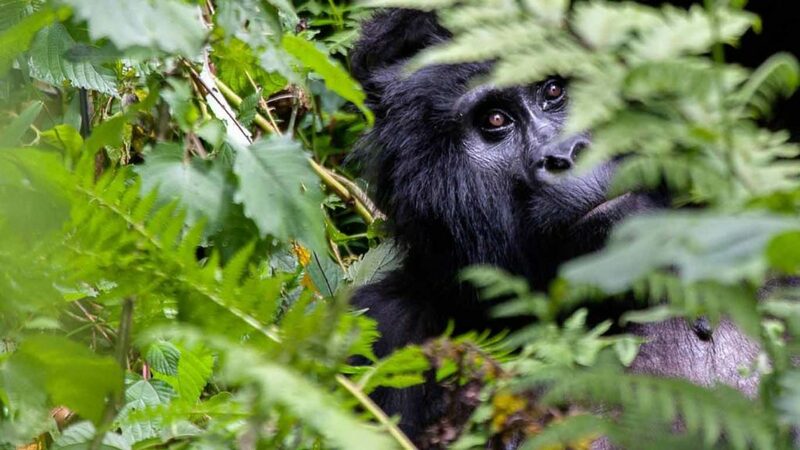 A gorilla permit has been secured for every person to tracking for the mountain gorillas and a chimpanzee permit for every person to track the chimpanzees. Please remember that mountain gorillas and chimpanzees are wild animals and are not enclosed in any form and free to move as they please. For this reason actual sightings of the gorilla and chimpanzee groups can not be guaranteed.